WOW! Super cheap flights to Australia: Sydney for only €483! UPDATE 21.3.2019: Very cheap flights from London to Sydney are again available for only 426 GBP / 489 EUR! Limited dates in May 2019, e.g. 9.5.-20.5. or 9.5.-27.5. BOOK NOW, check screenshot. Yesterday we published a very cool deal to Australia exclusively on our Facebook page, and now more dates were added for just slightly higher price so we will post it here too. 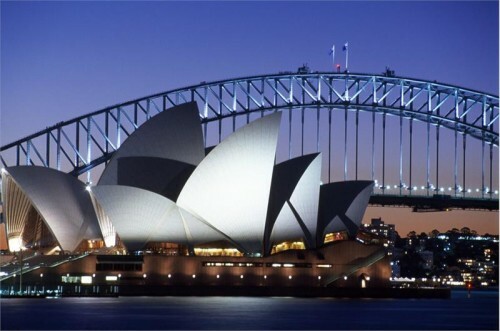 Return flights from London to Sydney are available for only €483! Regular tickets cost €800+ so you save around 50% of the usual price with this deal! Travel dates are from October to Deceber 2019, ideal for spring/summer in Australia. 23 kg check-in luggage and meal onboard is included onboard this Air China flight. Hurry up and book the tickets now! Sydney is not exactly cheap destination but it offers wide range of accommodation so if you look around a bit you can find some pretty good deals for hotels in Sydney. « HIT! Ski holidays in France: 1 week accommodation & ski pass for only €69!